New construction EarthCraft Certified home. Five bedrooms, 4.5 baths. Master on the Main level with beautiful Tile shower and custom cabinets with walk in closet. Open floor plan all hardwood. Kitchen open to dining area. Back deck overlooks large/ flat back yard. Upstairs are 4 large bedrooms all with walk in closets and Jack & Jill baths. Laundry on upper level as well. Lower level has over-sized 2 car garage, rec room area and an additional full bath. Hardy siding and quality throughout. 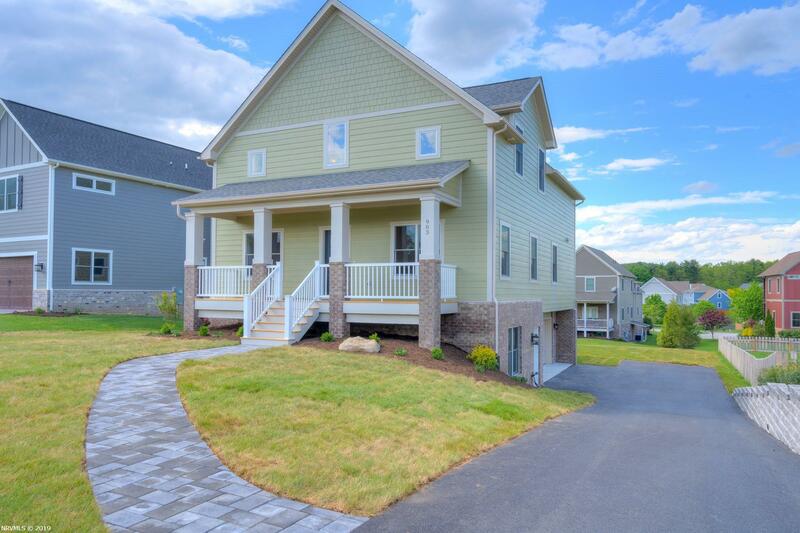 Mount Tabor Meadows is the only EarthCraft Certified development in the New River Valley. Beautiful open space for the neighborhood. This is one of only 5 lots left in the development. Home can be finished in May/ June 2019. Additional photos added when available.